TrustSpot is a reputation management software that enables companies and products, including eCommerce, to collect customer reviews. It features visual marketing, content management, customer retention, and more. In this article, we cover TrustSpot reviews and pricing. Ready to get started? Get a free trial. TrustSpot pricing is based on five subscription options: Growth ($79/month), Premium ($149/month), Ultimate ($249/month), Enterprise ($399/month), and Custom Solutions (custom priced). The main differences between the plans are access to advanced analytics options, premium support types like a dedicated account manager and eCommerce consulting, creative services, and more. Ready to get started with TrustSpot? Get a free trial. As of the date this article was written (February 19, 2019), there are not a lot of positive TrustSpot reviews online. However, some users mentioned that it is a solid platform that is easy to use and has all the features that an eCommerce website needs. They also like that it is trusted by Google for rich snippets. There are very few negative TrustSpot user reviews online as of this writing. Some of them complained though that its customer service representatives are difficult to deal with and are rude. Best Reputation Management Software: ReviewTrackers vs. GetFiveStars vs. Grade.us: Reputation management software allows you to manage all of your online reviews in one place so you can make sure you are promoting a positive online image. In this guide, we researched dozens of the most popular options and will review our top three picks: ReviewTrackers, GetFiveStars, and Grade.us. Read on for our comparison of these three options, as well as our recommendations. Can users import their existing reviews when moving to TrustSpot? Yes. Users can easily import all of their existing reviews and not lose anything when switching to TrustSpot. Can users change their subscription plan at any time? Yes. Users can easily upgrade or downgrade their plan at any moment. 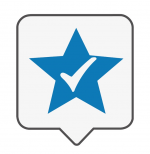 Have you read these TrustSpot reviews and are still not sure if it’s the right fit for you? Read our reviews of all top customer loyalty program software or check out one of these three TrustSpot competitors.